Honda has unveiled three concept motorcycles that will be showcased at the upcoming Tokyo Motor Show. 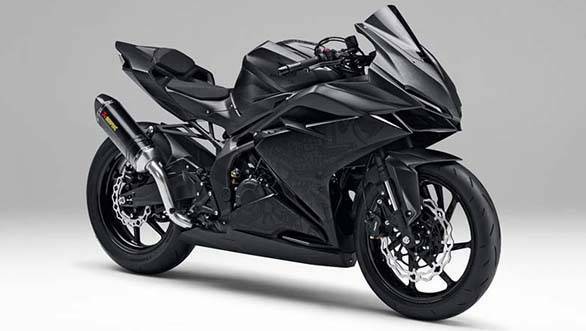 The first one is the Light Weight Super Sports Concept, which gives an idea of what one can expect from Honda's upcoming sportsbikes. The Light Weight Super Sports Concept, according to Honda, possesses "a sense of speed that comes from its long nose and low crouching position." However, Honda haven't revealed any information on the engine specifications. 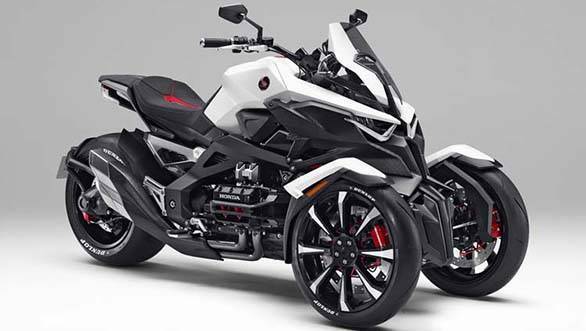 Honda will also showcase their three-wheeler concept, the Neowing. Honda say that it was designed to feel and corner like a regular motorcycle, while offering stable low-speed manoeuvrability. The Neowing is powered by a hybrid four-cylinder engine that is assisted by electric motors. 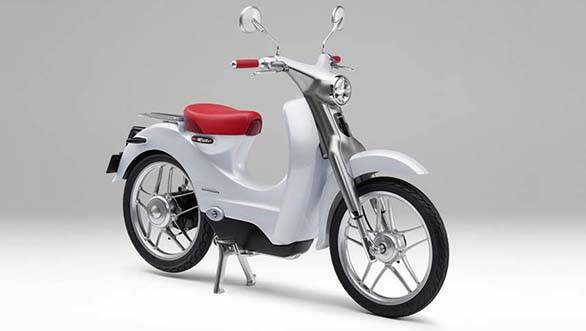 The third concept that Honda will display is the EV-Cub which is an electric bike based on the well-known Honda Super Cub. The detachable battery on the EV-Cub is placed as low as possible to allow for the best possible centre of gravity. What's more, it can be charged from a standard home wall socket. Light Weight Super Sports Concept: Designed with the key phrase "strong presence," this next-generation super sport concept model and features a look possessing a sense of speed that comes from its long nose and low crouching position. The combination of a plane architecture, which indicates the sense of hardness and solidity, and sharp edges emphasize the aggressive look of this model. Moreover, the exterior featuring matte-black-based low-contrast graphics expresses beauty and the remarkable form. NEOWING: NEOWING is an unprecedented three-wheeled vehicle that offers the cornering feel and sporty ride equivalent to a large-sized motorcycle while realizing excellent stability in low-speed ranges. This vehicle is equipped with a hybrid system that combines a horizontally-opposed 4-cylinder engine and electric motors to generate plentiful torque for powerful acceleration. With the adoption of an original Honda linkage mechanism on its front wheel, this concept model proposes new values with advanced styling that emphasizes the mechanical fascination of a two-wheeled motorcycle model. EV-Cub Concept: It is a personal commuter model for short-distance commuting that follows the concept of an "easy-to-handle and economical motorcycle" that Honda has been pursuing since the creation of the first-generation Super Cub. By placing the battery, a heavy component, at a low position in the middle of the body, the ease of getting on and off the bike was achieved. Moreover, ease-of-handling was pursued through concentration of the mass and lowering of the center of gravity. In consideration of ease-of-use in a broader range of use environments, the battery itself was made detachable in addition to the fact that it is rechargeable using a standard home wall socket.